The Daisy Table Lantern was designed with industrial and modern influence. 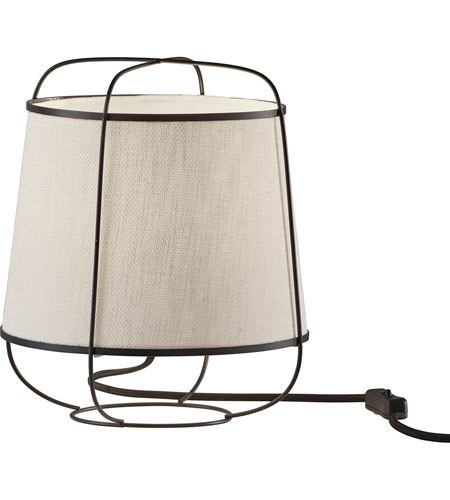 A black thin metal wire cage surrounds a textured white fabric shade. Set this lantern next on your nightstand or desk for warm, ambient lighting. The on/off switch is conveniently located on the black fabric covered cord.